After dinner, we retreated into the study to enjoy the air-con. 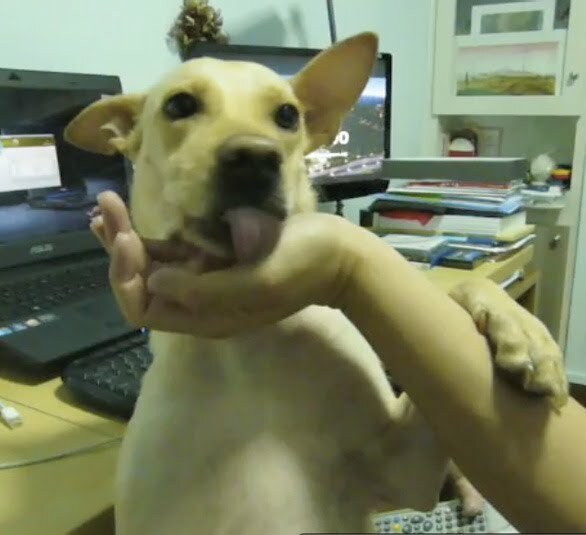 Cookie suddenly stood up on her hind legs, put her paws on my and Vincent's arm, and started licking. Vincent had to hold her jaw to prevent her from licking our face. Look at her tongue!